There’s no denying that tooth pain can be really overwhelming. It seems to radiate everywhere and when you have it, it’s hard to think of anything else. All you can really think about is relief. If you can’t get to a dentist right away, what can you do? abscess – this is a painful inflammation caused by bacterial infection inside the tooth or between the gum and the tooth. A dentist may perform a root canal to clean out the infection (don’t worry, root canals today are virtually painless). broken tooth – even if it’s not painful right away, a broken tooth may become infected. See your dentist as soon as possible to get it repaired. tooth decay/cavities – especially if you haven’t seen a dentist regularly, tooth decay can develop and then suddenly result in pain when the decay exposes a nerve in the tooth. damaged or lost fillings – be proactive if you lose or break a filling to get it repaired before further damage or severe pain occurs. If it’s a crown, save it and bring it to the dentist to be reset. You may even be able to reset the crown temporarily on the tooth, just be sure to wash it first and then use a bit of dental adhesive. tooth grinding – many people grind their teeth in their sleep, which can lead to broken, loose or damaged teeth. Ways to reduce this tendency are to cut back on caffeine and alcohol and don’t chew gum. You can also practice relaxing your jaws when you feel yourself tensing up. Or, try holding a warm cloth to your jaws before bed. gum infections – gingivitis (gum inflammation) and periodontal disease (retreat of the gums over time due to chronic inflammation) occur when plaque, or bacteria on the teeth, damages the gums. Eventually, the gums retreat from the teeth and the pockets cause decay of the tooth. Is your tooth pain just temporary? Temporary tooth pain, including hot or cold sensitivity, is common. Sometimes chewing gum or ice can cause a flair up. Usually this pain doesn’t last more than a few minutes. Gum irritation from chewing or brushing may make an area temporarily more sensitive. However, tooth pain that lasts more than one or two days is generally a sign of a larger problem and should be addressed by a dentist. While all toothache ultimately needs the expert attention of a dentist, if you can’t get in right away and need relief, here are a few home remedies you can use to help stop the pain. Cloves – Cloves have been used for the treatment of tooth pain long before there were dentists on every city block. Why? 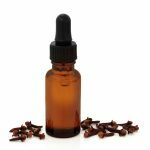 Cloves contain both antiseptic and anesthetic properties to help eliminate germs that may be the cause of a gum infection and help with the pain. Use clove essential oil and apply to the affected area with a cotton ball. Tea bag – apply a warm tea bag to the tooth. Tannic acid in tea helps reduce inflammation. Tea bags also help to stop the bleeding of a broken tooth. Brandy – no, don’t drink it! Rub it on the area affected instead. The brandy acts as a topical numbing agent to help relieve the pain. Warm salt water – Swish warm salt water around in your mouth and then spit it out. If the pain is severe, just hold the warm water in your mouth for 30 seconds to a minute. Repeat it as often as needed. Don’t swallow the saltwater and don’t use this method if you’re on a reduced salt diet. Hot or cold compresses – Depending on which feels better for you, consider using hot or cold compresses. Hold the compress against the affected area of your face for ten minutes. Then rest ten minutes. Do this three times during the course of an hour. Over the counter meds – for temporary pain relief try Benzocaine ointment, or use over-the-counter pain relievers like acetaminophen (Tylenol), ibuprofen (Advil) or naproxen (Aleve). Follow all instructions and don’t take an excess dose because you have severe pain. Your dentist may be able to prescribe something stronger if it’s needed for temporary relief until you can get the treatment you need. In general, toothache home remedies are only temporary solutions to a bigger underlying problem. The best course of action is to schedule an appointment with your dentist as soon as possible to prevent a small and manageable dental problem from becoming something much bigger. And get rid of your toothache pain for good! 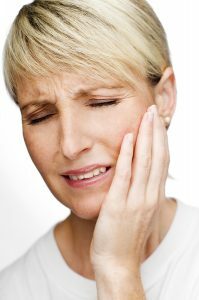 Dr. Jesus Medina Jr, DDS in Las Vegas can help with your tooth pain. Give us a call now for an appointment. More Than a Pretty Face- Dr. Medina’s Cosmetic Dentistry Do you have bad teeth due to teeth grinding?